I always love a rainbow of colours on a card and Christmas is no exception!! Fabulous idea to do an ocean theme and everything is coloured so beautifully, especially with the shimmery detail on the fish. 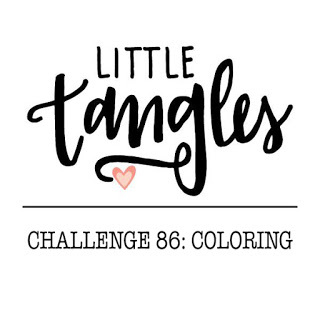 I love everything about this card and I'm so glad you shared it with us this month at Little Tangles! !